The Cape Town Commitment, which arose from The Third Lausanne Congress on World Evangelization (Cape Town, 2010), stands in the historic line of The Lausanne Covenant (1974) and The Manila Manifesto (1989). It has been translated into twenty-five languages and has commanded wide acceptance around the world. The Commitment is set in two parts. Part 1 is a Confession of Faith, crafted in the language of covenantal love. Part 2 is a Call to Action. The local church, mission agencies, special-interest groups, and Christians in the professions are all urged to find their place in its outworking. 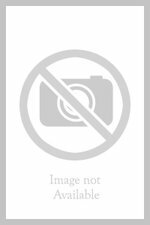 This annotated bibliography of The Cape Town Commitment, arranged by topic, has been compiled by specialists in a range of fields. 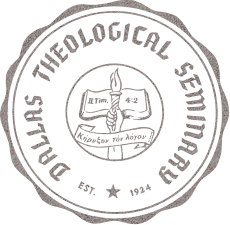 As such, it is the first bibliography of its kind. - Arranged in sections for graduate-level teaching - Equally useful for research students "Darrell Bock has produced another significant volume, which will be now and in the future a standard exposition of The Cape Town Commitment of the Third Lausanne Congress 2010, a historic confession of evangelical and biblical faith and a call to action for the entire Christian community in the twenty-first century. His timely work will be greatly appreciated as a textbook for theological training and a ministry guide for all those who are committed to the Great Commission of Jesus Christ." --Sang-Bok David Kim, President, Torch Trinity Graduate University, Seoul, Korea "This is an extraordinarily important resource for the global evangelical church. 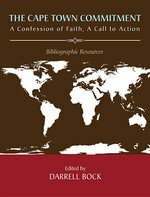 It provides a wealth of material in support of The Cape Town Commitment, which itself epitomizes the very best of twenty-first-century evangelical thought and devotion. No question--these two items together belong in every seminary and Bible college curriculum and in every evangelical church library in the world." --Samuel Logan, International Director, The World Reformed Fellowship "Every reader will be pleasantly surprised and grateful to find extensive resources they never knew about. The Cape Town Commitment unites the voices of evangelical leaders from 198 nations. So as new editions emerge, I am confident that the editors and publisher will be keen to include even more works from the non-western world. This is a hugely welcome start to an ongoing international collaborative process." --Christopher J. H. Wright, International Ministries Director, Langham Partnership "This piece of work combines theological competence and dedication. It is a gem even for seasoned theological teachers like me, and for all those who wish to deepen their evangelical faith, this will prove to be extremely useful." --Carver Yu, President, China Graduate School of Theology Darrell Bock (PhD, Aberdeen University) is the former President of the Evangelical Theological Society and the author of several books. He is Research Professor of New Testament at Dallas Theological Seminary. 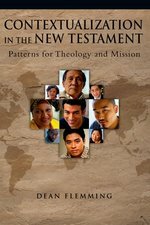 This revised edition of Dr. David Hesselgrave's great work Communicating Christ Cross-Culturally updates the original edition and interacts with the most recent literature on this increasingly important topic. The original edition went through fifteen printings and, very deservedly, has come to be one of the most widely used textbooks on Christian cross-cultural communications. The revisions in this new edition are extensive and carry on the high level of discussion maintained throughout the original edition, taking into account, for example, the current discussion on the relationship between form and function and the enormous body of literature that has sprung up recently on contextualization. To enhance the volume's usefulness for students, Dr. Hesselgrave has added an extensive bibliography of twenty-five pages on various aspects of cross-cultural communications. This revision of Communicating Christ Cross-Culturally is superb. It raises a great book into a unique category, undoubtedly the finest book on this topic available today. From Cairo to Calcutta, from Cochabamba to Columbus, Christians are engaged in a conversation about how to speak and live the gospel in today's traditional, modern and emergent cultures. The technical term for their efforts iscontextualization. Missionary theorists have pondered and written on it at length. More and more, those who do theology in the West are also trying to discover new ways of communicating and embodying the gospel for an emerging postmodern culture. But few have considered in depth how the early church contextualized the gospel. And yet the New Testament provides numerous examples. As both a crosscultural missionary and a New Testament scholar, Dean Flemming is well equipped to examine how the early church contextualized the gospel and to draw out lessons for today. 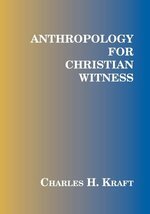 By carefully sifting the New Testament evidence, Flemming uncovers the patterns and parameters of a Paul or Mark or John as they spoke the Word on target, and he brings these to bear on our contemporary missiological task. Rich in insights and conversant with frontline thinking, this is a book that will revitalize the conversation and refresh our speaking and living the gospel in today's cultures, whether in traditional, modern or emergent contexts. 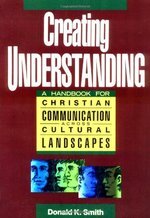 Creating Understanding, a foundational book on which the enterprise of Christian ministry can be built, is a basic text and handbook for training and refining the skills of Christian communication. Whether at home or abroad, communicating with people of other cultures is difficult. It requires new ways of thinking and interpreting the world. When conflict arises, as it often does, the issues become even more confusing. Without a good understanding of how different cultures handle conflict, our best intentions may only make matters worse. With a particular focus on Asian and Hispanic cultures (at home and around the world) and on African culture, Duane Elmer walks readers through various types of conflict and shows how they can be handled effectively and appropriately. Elmer gives numerous stories and examples from his experience and from others' to show how handling conflict well builds solid relationships. With an eye out for biblical principles, he looks at a variety of sticky questions in Scripture. This is a book not just of theory but of practical models of conflict resolution. Pastors, evangelists, businesspeople, missionaries, students--anyone who wants to communicate more effectively with neighbors and colleagues--will find this book immensely helpful. The twin forces of globalization and urbanization are transforming the context of global missions. While the Western church grapples with the challenges of evangelism in an age of globalization, new evangelistic opportunities are emerging that blur the conventional boundaries between local and global outreach. Even as the rise of a persistent post-Christendom presents new challenges for the church, global migration is rearranging the religious and ethnic makeup of our cities. Cities are centers of constant change, and in an urban world, current missionaries will need to become adaptable. Furthermore, contemporary missions strategies will need to engage a world organized along networks that may transcend geographic boundaries. 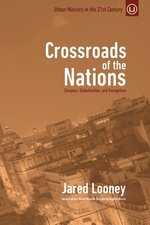 Painting a picture of evangelism and church planting in our urban and global world, Crossroads of the Nations utilizes contemporary data and together with missionary accounts - both actual and recent - tells a story of transnational missions impacting our world.